The Most Popular iPhone Apps At SXSW 2011 - iPhone.MY - Daily News On Mac, iPhone, iPads, iPods and more! 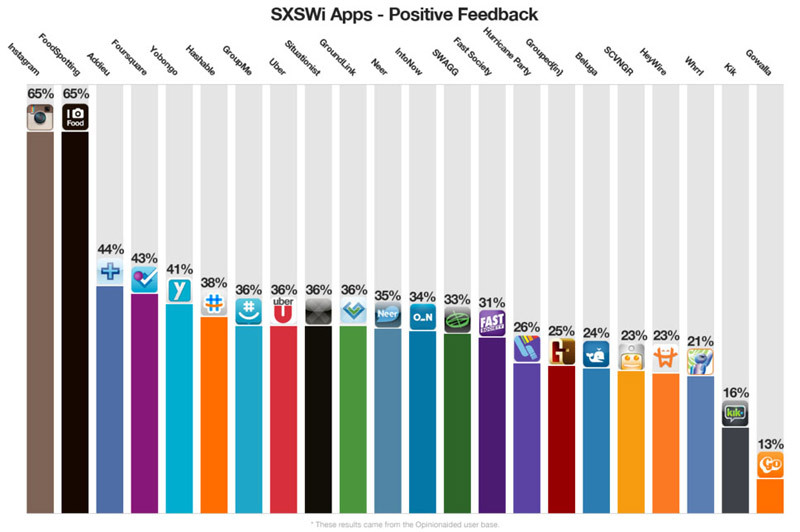 So what were the most popular iPhone apps used at this year’s SXSW? The folks at Opinionaided sent a team to Austin to find out. Here are the results. First place was split by Instagram and Foodspotting.